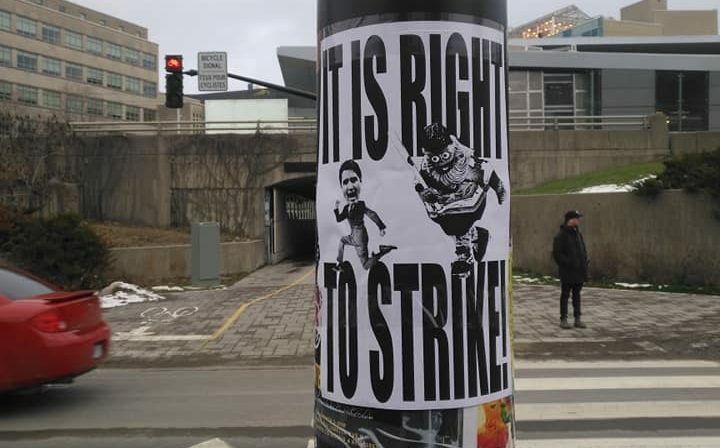 On Nov 26th, the federal government passed a “special law” that stripped the right to strike for postal workers. Postal workers had been working without a contract since January and were engaged in rotating strike actions. They now face massive fines should they continue the strike. Solidarity pickets have been served injunctions, and supporters have been arrested. Despite these threats, we must not give in to intimidation. The right to strike is the very lifeblood of the labour movement, and the key to securing a bright future for all workers in the face of austerity. For this reason, postal workers should not stand alone in this fight. “BOSS MAN COME, BOSS MAN GO! ARE WE LEAVING? OH HELL NO!” or “HEY HEY LOOKIE LOOKIE! BAD BOSS! NO COOKIE!”. Through the gates, postal workers were seen cracking up and applauding. 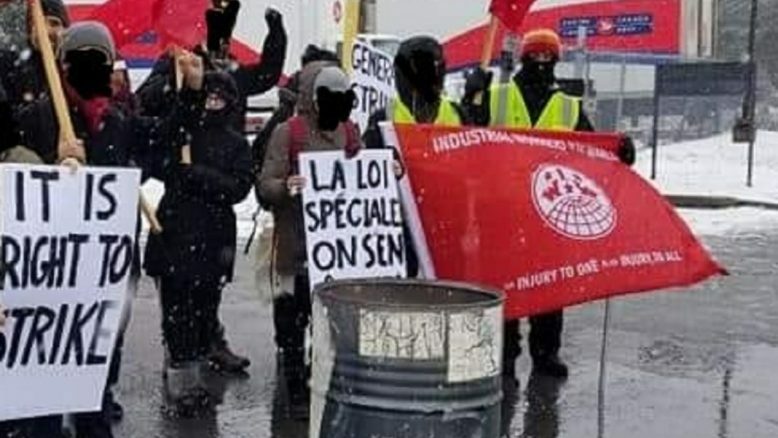 After ensuring that no trucks enter or leave the facility with mail for 6 hours, and many heartfelt exclamations of thanks from the postal workers, it was decided to pack up and leave the picket. What began quickly and nervously in the dark hours of the morning, ended with a sense of accomplishment, enthusiasm for the struggles to come, and respect for the new comrades we’ve made.